The Indian Penal Code, 1860 - Section 193 - Giving and fabricating false evidence - the Magistrate could / should not have taken cognizance of the offence punishable under Section 193 I.P.C on the basis of the private complaint. 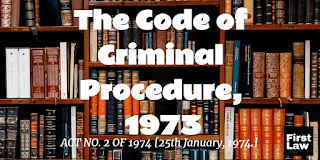 The Code of Criminal Procedure, 1973 - Section 195(1)(b)(i) - The Indian Penal Code, 1860 - Sections 193 to 196, 199, 200, 205 to 211 and 228 - Cognizance of any offence - The provisions contained in Section 195(1) of the Code are mandatory. No court has jurisdiction to take cognizance of any of the offences mentioned therein unless there is a complaint in writing as envisaged in that provision. The Code of Criminal Procedure, 1973 - Section 482 – Though the law does not require that the complaint shall reproduce the legal ingredients of the offences alleged against the accused verbatim, the complaint must contain the basic facts necessary for making out the offences alleged. 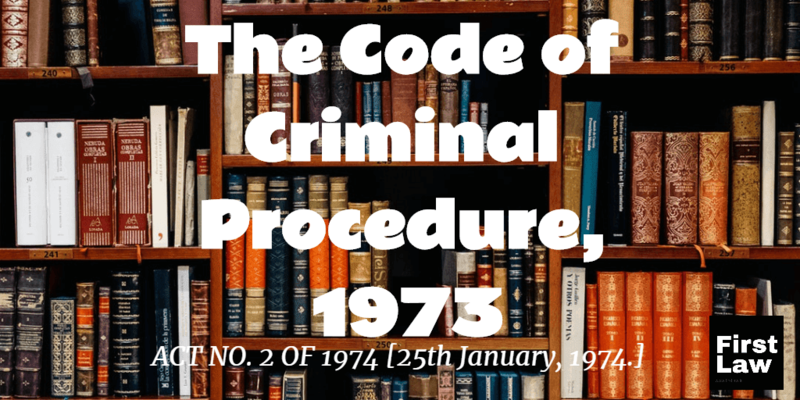 The Code of Criminal Procedure, 1973 - Section 482 –Summoning of an accused in a criminal case is a serious matter - Criminal law cannot be set into motion as a matter of course. The Code of Criminal Procedure, 1973 - Section 482 - The Indian Penal Code, 1860 - Sections 193, 420, 403 and 408 – to Quash the proceedings - Giving and fabricating false evidence – Cheating and dishonestly inducing delivery of property - Punishment for dishonest misappropriation of property - Punishment for criminal breach of trust committed by a clerk or servant of a person. The petitioner was working as a Village Officer in the year 2003. There is averment to that effect in the complaint. There is a specific allegation in the complaint that while the petitioner gave evidence before the Munsiff's Court in the suit O.S No.606/2003, he stated that he was a Deputy Tahsildar in the year 2003. These averments in the complaint, prima facie, disclose commission of an offence punishable under Section 193 I.P.C. 1 STATE OF KERALA REPRESENTED BY THE PUBLIC PROSECUTOR,HIGH COURT OF KERALA, ERNAKULAM-682 031. 2 KRISHNANKUTTY, AGED 64, S/O.ETEERA, MUNDUTHARAPPEL HOSUE, KUNDUKADU P.O., OOROKKOD, KOTTAMKKOD, THRISSUR-680 028. The petitioner is the accused in the case C.C No.2019/2014 on the file of the Court of the Judicial First Class Magistrate, Wadakkancherry. The petition is filed by him under Section 482 of the Code of Criminal Procedure, 1973 (hereinafter referred to as 'the Code') to quash the proceedings against him in the aforesaid case. 2. The case against the petitioner is based on the private complaint filed by the second respondent. The averments in the complaint are as follows: One Radhakrishnan had instituted a suit against the complainant in the Munsiff's Court, Wadakkancherry as O.S No. 606/2003. The accused was examined as a witness in that suit. When the accused gave evidence in the suit on 07.11.2008, he made a false statement that he was a Deputy Tahsildar in the year 2003. The accused was actually working as a Village Officer during the period from 28.07.2001 to 04.12.2003. Due to the false statement given by the accused in the suit, the complainant sustained loss and also damage to his reputation. The act of the accused constitutes the offences punishable under Sections 193, 420, 403 and 408 of the Indian Penal Code. 3. Learned Magistrate took cognizance of the offences mentioned in the complaint. After recording the statement of the complainant and his witnesses, the learned Magistrate found that a prima facie case was made out against the petitioner. The complaint was taken on file as C.C No.2019/2014 under Sections 193, 420, 403 and 408 I.P.C and process was ordered to be issued to the petitioner. 4. Heard the learned counsel for the petitioner and the learned Public Prosecutor and also the learned counsel for the second respondent. 5. Learned counsel for the petitioner contended that the Magistrate could not have taken cognizance of the offence punishable under Section 193 I.P.C on a private complaint. Learned counsel also contended that the facts stated in the complaint do not constitute the other offences alleged against the petitioner. 6. Learned counsel for the second respondent conceded the position of law that the Magistrate could not take cognizance of the offence punishable under Section 193 I.P.C on the basis of a private complaint. But, learned counsel contended that the averments in the complaint disclose commission of the other offences alleged against the petitioner and therefore, the entire proceedings against the petitioner are not liable to be quashed. 7. Section 191 I.P.C states what amounts to giving false evidence. Section 192 I.P.C defines the offence “fabricating false evidence”. Section 193 I.P.C provides the punishment for giving and fabricating false evidence. Section 193 I.P.C has got two limbs. The first limb provides the punishment for intentionally giving false evidence or fabricating false evidence in any stage of a judicial proceeding and the second limb provides the punishment for committing such act in any other case. 8. The petitioner was working as a Village Officer in the year 2003. There is averment to that effect in the complaint. There is a specific allegation in the complaint that while the petitioner gave evidence before the Munsiff's Court in the suit O.S No.606/2003, he stated that he was a Deputy Tahsildar in the year 2003. These averments in the complaint, prima facie, disclose commission of an offence punishable under Section 193 I.P.C. 9. Section 195(1)(b)(i) of the Code provides that no court shall take cognizance of any offence punishable under Sections 193 to 196 (both inclusive), 199, 200, 205 to 211 (both inclusive) and 228, when such offence is alleged to have been committed in, or in relation to, any proceeding in any Court, except on the complaint in writing of that Court or by such officer of the Court as that Court may authorise in writing in that behalf, or some other Court to which that Court is subordinate. 10. A bare reading of the provision contained in Section 195(1)(b)(i) of the Code would show that a complaint as envisaged under Section 195(1) is absolutely necessary for a court to take cognizance of an offence punishable under Section 193 I.P.C, when such offence is alleged to have been committed in, or in relation to any proceeding in any court. The provisions contained in Section 195(1) of the Code are mandatory. No court has jurisdiction to take cognizance of any of the offences mentioned therein unless there is a complaint in writing as envisaged in that provision. 11. The procedure for making a complaint as envisaged in Section 195(1)(b) of the Code is provided in Section 340 of the Code. If the second respondent was aggrieved by the alleged act of the petitioner committing perjury, he should have filed application before the court concerned under Section 340 of the Code. 13. Now, it shall be examined whether the complaint contains facts constituting the other offences alleged against the petitioner. Section 420 I.P.C deals with cheating and dishonestly inducing delivery of property. Section 403 I.P.C provides the punishment for dishonest misappropriation of property. Section 408 I.P.C provides the punishment for criminal breach of trust committed by a clerk or servant of a person. 14. It is stated in the complaint that due to the act of the petitioner giving false evidence in the suit, the complainant sustained loss and injury and also damage to his reputation. This is the only averment in the complaint with regard to the offences of cheating, dishonest misappropriation of property and criminal breach of trust alleged to have been committed by the petitioner. The aforesaid averment in the complaint does not spell out the ingredients of the aforesaid offences. 15. It is settled law that, when the complaint, on the face of it, does not disclose the commission of any offence, the Magistrate shall not take cognizance under Section 190(1)(a) of the Code. Then, the complaint is simply to be rejected (See Mehmood Ul Rehman v. Khazir Mohammad Tunda : AIR 2015 SC 2195). If after perusing the complaint, the Magistrate is of opinion that the averments therein do not at all spell out any offence, then he has the power to throw away the complaint and terminate the matter then and there. This power is not dismissal but rejection. The Magistrate can, in such a case, reject the complaint (See Biju Purushothaman v. State : 2008 (3) KLT 85). 16. Summoning of an accused in a criminal case is a serious matter. Criminal law cannot be set into motion as a matter of course. The order of the Magistrate summoning the accused must reflect that he has applied his mind to the facts of the case and the law applicable thereto. It is not that the Magistrate is a silent spectator at the time of recording of preliminary evidence before summoning of the accused. The Magistrate has to carefully scrutinise the evidence brought on record and may even himself put questions to the complainant and his witnesses to elicit answers to find out the truthfulness of the allegations or otherwise and then examine if any offence is prima facie committed by all or any of the accused (See Pepsi Foods Limited v. Special Judicial Magistrate : AIR 1998 SC 128). 17. A complaint can be quashed where the allegations made in the complaint, even if they are taken at their face value and accepted in their entirety, do not prima facie constitute any offence or make out the case alleged against the accused. What is required is examination of the averments in the complaint to find out whether they constitute the ingredients necessary for the offences alleged against the accused. If the averments do not constitute the ingredients of the offences alleged against the accused, the criminal proceedings against the accused can be quashed by invoking the inherent power of the High Court under Section 482 of the Code. Though the law does not require that the complaint shall reproduce the legal ingredients of the offences alleged against the accused verbatim, the complaint must contain the basic facts necessary for making out the offences alleged. 18. In the instant case, as found earlier, the Magistrate could/should not have taken cognizance of the offence punishable under Section 193 I.P.C on the basis of the private complaint. The complaint does not contain the basic facts necessary to constitute the ingredients of the other offences alleged against the petitioner. In these circumstances, the complaint filed by the second respondent against the petitioner amounts to abuse of process of court and the proceedings against the petitioner are liable to be quashed. Consequently, the petition is allowed. The proceedings against the petitioner in C.C.No.2019/2014 on the file of the Court of the Judicial First Class Magistrate, Wadakkancherry, initiated on the basis of Annexure A1 complaint, are quashed.